June 25, 2016 – I made the summits of Democrat (14,148 ft.), Cameron (14,238 ft.), Lincoln (14,286 ft.) and Bross (14,172 ft.) – a quad combo with my friend Jes Mangun. It was an awesome time with Jes and a gorgeous day for hiking. 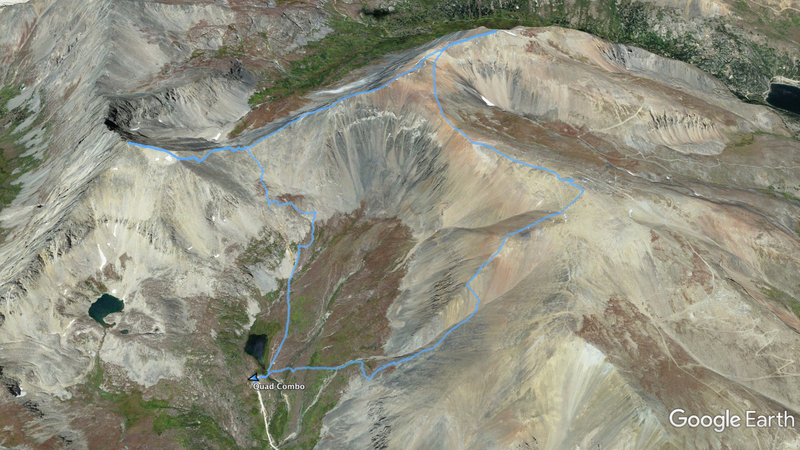 Aerial view of the summit path for the Quad Combo (we went clockwise). 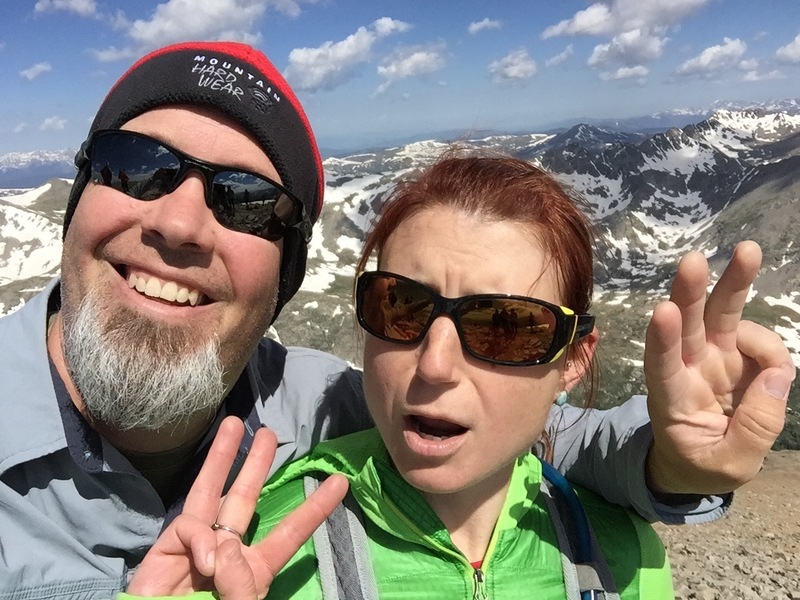 Jes and I stayed in Breckenridge the night before our run at the quad combo of 14ers. We had a delicious fancy dinner in town. We woke at 4am or so to get to the trailhead early and made the first summit around 8:20am. We made it to the final summit on Bross around 11:20am. 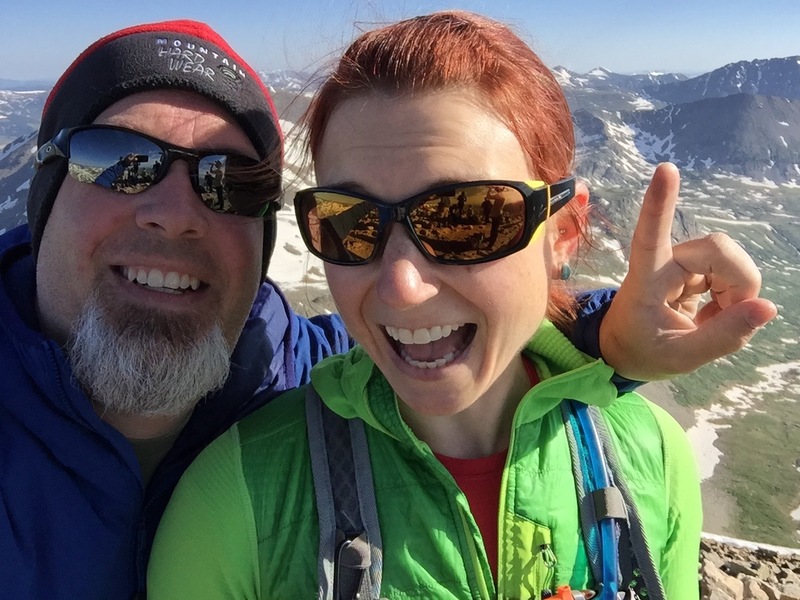 David and Jes on summit 1 of 4 – Mt. Democrat (14,148 ft.). David and Jes on summit 2 of 4 – Mt. Cameron (14,238 ft.). 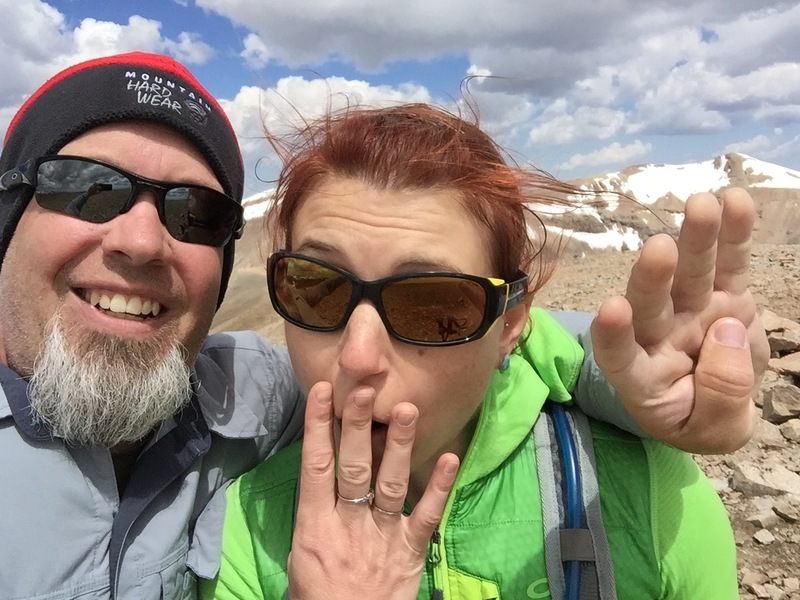 David and Jes on summit 3 of 4 – Mt. Lincoln (14,286 ft.). 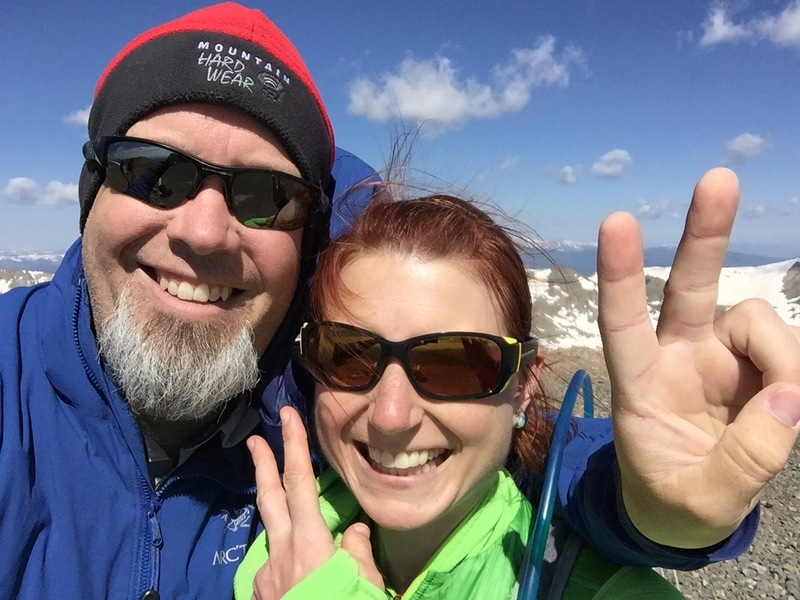 David and Jes on summit 4 of 4 – Mt. Bross (14,172 ft.).